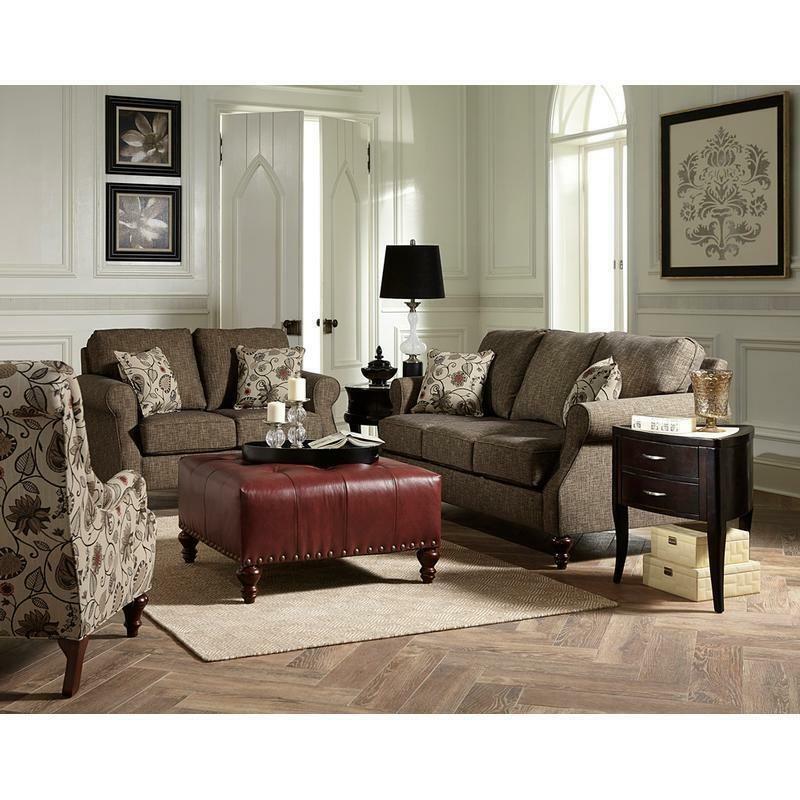 The Brinson Arm Chair by England Furniture is a sure winner. 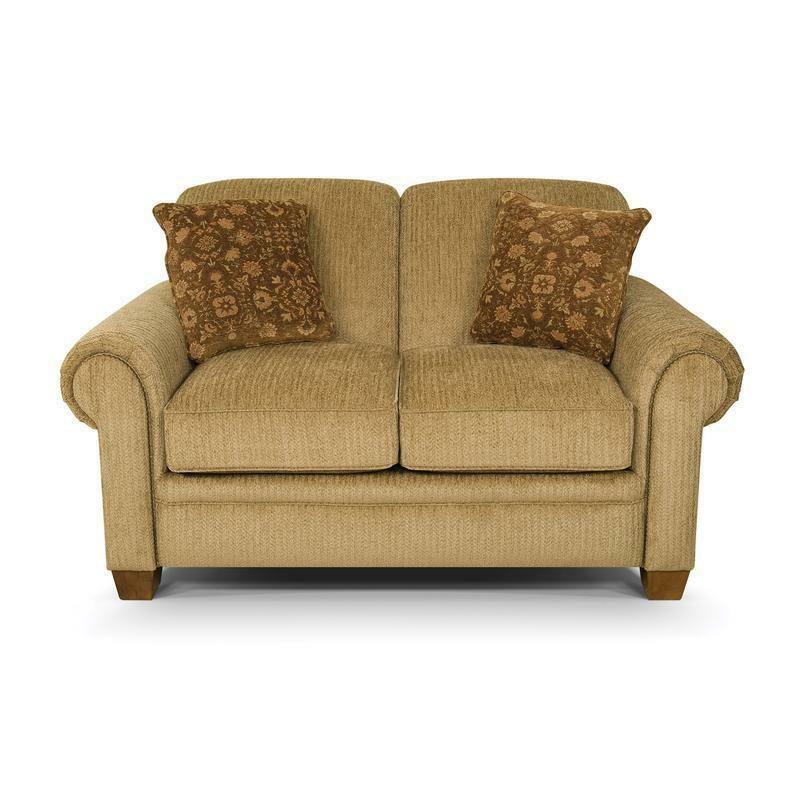 It features a great tight back, slightly recessed rolled arms, bordered seat cushion and classic turned legs. 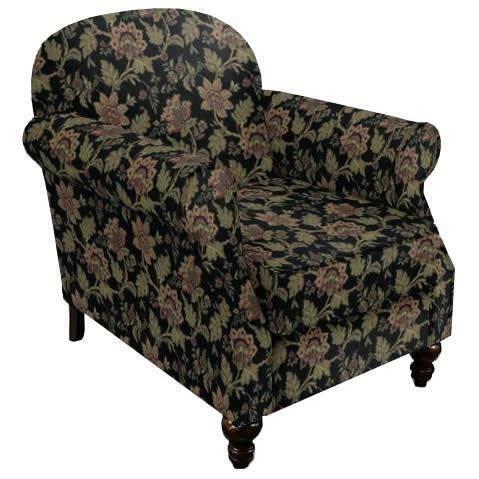 Additional Information Front legs are 4.75 in x 5.5 in H. screw-in with dark brown finished wood; Matching welt is standard; Seat depth: 19"; Seat height: 22"; Seat width: 19"